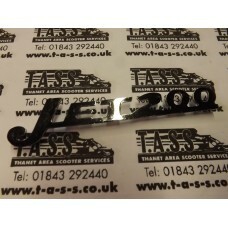 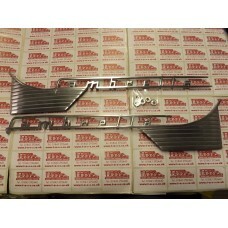 TASS STOCK QUALITY LAMBRETTA PARTS AND ACCESSORIES TO FIT ALL ITALIAN SPAINSH INDIAN MODELS SERIES 1/2/3 LI 125 150,TV175,SPECIAL ,SX150,SX200,TV200,GP125 150,GP 200,JET200. 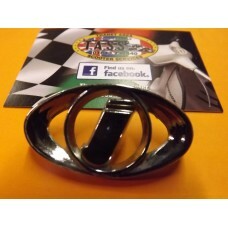 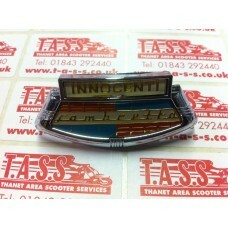 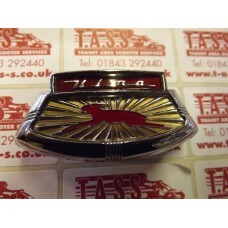 CASA Badge clip for horncast shield badge SERIES 2..
Badge clip for horncast shield badge Fits li3/sx/special/tv3 175 -200..
CASA LAMBRETTA SERVETA HORNCASTING BADGE QUALITY MADE IN METAL AND ENAMELLED.. 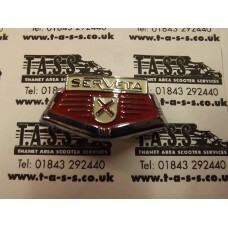 Replacement horncasting badge for Lambrettas , as an original Ulma accessory , red logo with gold an..
Chrome oval Innocenti 'i ' horncover badge For GP MODELS ONLY..
LAMBRETTA Li series 2 /3 / TV SX /special Innocenti shield horncast badge, with gold lettering. 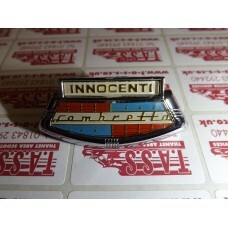 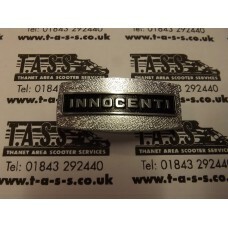 E..
LAMBRETTA INNOCENTI SERIES1 HORNCASTING BADGE- EXCELLENT QUAILTY..
Innocenti square type horncast badge Fits late type li3 sx. 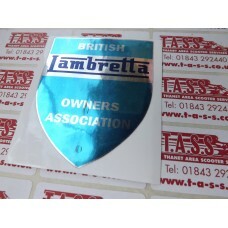 Italian made..
British Lambretta owner’s association competition sticker. 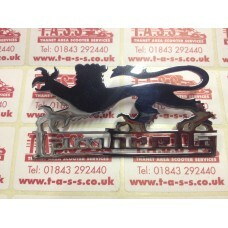 Remade in similar style to a 60’s origin..
Lambretta Lion Logo , quality chrome badge. 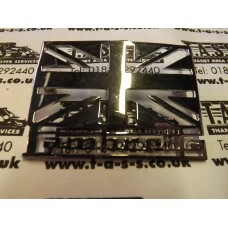 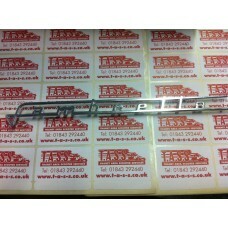 suitable for legshiels ,sidepanels etc. 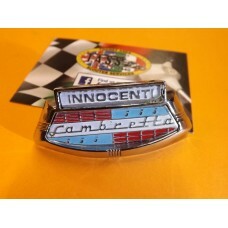 bolt on..
Lambretta side panel badges , good quality as per original , Fits all li3 /tv3 /sx /special/se..
Lambretta Series 1 and 2 side panel badges/flashes Polished alloy, with fixings , pair ,QUALITY REM..
high quality chromed bolt on Lambretta badge with union flag , small holes must be drilled, do not o..
Servetta – Lambretta - front legshield badge Chromed and excellent quality CASA LAMBRETTA..